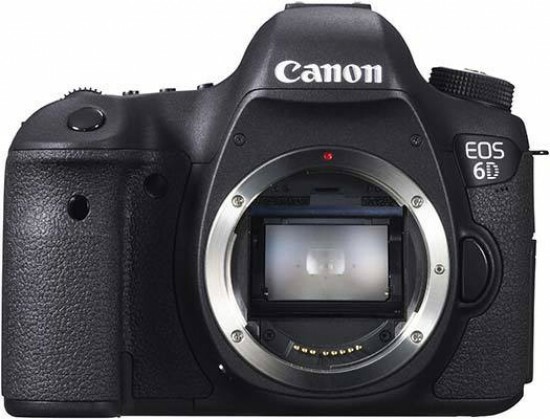 On paper the new Canon EOS 6D seems rather poorly specified compared to its main rival, the Nikon D600, and its big brother, the 5D Mark III, but in reality it proves to be a very capable DSLR that delivers outstanding pictures in both good and bad light. The key difference between the 6D and the main alternatives are the number and type of AF points. The 6D's 11-point system, with only one extra-sensitive point in the middle, means that it struggles a little with fast-moving subjects, so if this is your bread and butter photography, consider the 5D Mark III or even the APS-C EOS 7D instead. On a more positive note, that centre AF point remains operational down to -3EV, the equivalent of moonlight, beating both the D600 and 5D Mark III and ensuring that the 6D can accurately autofocus in almost any lighting conditions. The 6D is also the only DSLR on the market to offer built-in GPS and Wi-Fi connectivity (both are optional extras for the Nikon D600), although there's the inevitable drain on battery life if you leave them permanently switched on. The new 20 megapixel sensor in conjunction with the Digic 5+ processor results in seriously impressive low-light performance, with an almost noise-free range of ISO 50-6400 and perfectly usable 12800 and 25600 settings. The video side of things is also excellent, with an accessible interface, manual exposure, better control of sound and cutting-edge compression rates. We would have liked to have seen an articulated LCD screen for easier composition, and the auto-focus system for movies is still decidedly clunky when compared to mirrorless cameras, but otherwise the 6D handles both stills and video with aplomb. Compared to the 5D Mark III's official price of £2999 / $3499, the 6D is something of a bargain at £1799 / $2099, especially as it delivers very similar image quality to its big brother. The only fly in the ointment in terms of price is the Nikon D600, which due to being released earlier now typically undercuts the 6D by a couple of hundred pounds / dollars. Still, the EOS 6D should also drop in price once the novelty has worn off. We'd advise you to choose carefully though if you're pitting the 6D against the D600 - they're quite different cameras in their approach, with the 6D having the edge in low-light performance and the D600 offering a more versatile auto-focusing system. Thanks to both cameras though, full-frame has never been more affordable, and the new Canon EOS 6D is a real contender if you're looking to step-up from a smaller format.